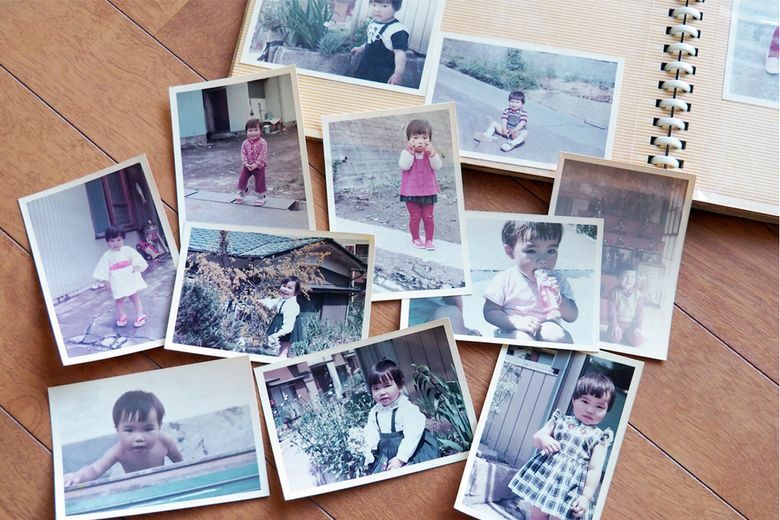 It's a daunting task, but editing and organizing your old photos is well worth the effort. If you’re over the age of 30, you probably have at least a few — and maybe even a dozen — boxes filled with old printed photos and photo albums. You probably haven’t looked at them in years, and yet you can’t just throw them away. Sorting and organizing old photos is a daunting job, so it’s understandable that many of us have delayed the task. But I promise that whatever you’ve anticipated about it — that it will take forever, be boring and not really make much of a difference — will turn out to be untrue. Don’t try to tackle all of your pictures in one sitting. It’s an unrealistic goal, and you’ll lose motivation if you try to do it all at once. You’ll need at least an hour to make progress, but don’t plan to work for more than two hours at a time. Grab one or two boxes or a few albums and find a comfortable place to sit where you have room to group photos into different categories. Albums are an easy place to begin. Even though the photos are organized, the sticky pages covered with acidic glue can cause the pictures to deteriorate. And bulky albums take up a lot of space on bookshelves, in closets and in storage bins. If you’re looking to regain some of that space, eliminate the albums. Remove the photos from the albums (experts recommend using dental floss), but keep them in the order in which they were arranged. If the backs aren’t too sticky, stack them in chronological order and label the stacks by event and/or month and year. Decide early how you would like to organize the photos. There is no “right” way — just go with whatever makes the most sense to you. Because these are old photos that probably aren’t clearly dated, don’t get bogged down trying to put them in perfect chronological order. Instead, think about organizing photos by decades, places or general time frames. Many people have prints and negatives in the envelopes from the store where the film was developed. The negatives are probably not worth keeping, unless there is a special picture that you would like to have reproduced. You can have the negatives scanned, but it’s usually easier to have the actual photos scanned and duplicated. As you begin sorting, you may realize that a third of the pictures in each envelope are terrible and can be tossed. And if you had splurged for doubles, toss the duplicates. Culling and organizing your photos is a huge task, and if you’ve managed to get through all of them, that’s a big accomplishment. 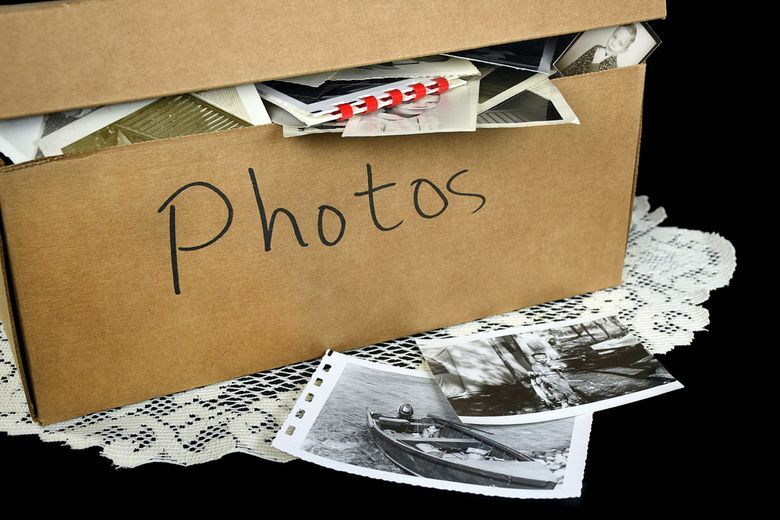 You can stop there and place the streamlined set of photos in a clean labeled box for storing. Because most people’s photo collections have been moved from home to home in flimsy cardboard boxes and have survived, there’s no real need to spend a lot of money on fancy archival storage boxes or expensive albums. Actual shoe boxes or similar-size containers work well for 4-by-6-inch and smaller photos, as do photo boxes sold at craft stores. Larger photos can be stored in labeled manila folders or larger document boxes. Another option is to have all of your newly organized pictures scanned and digitized, so you can toss the prints and easily send electronic copies to friends and family. There are a number of online companies that provide this service based on a per-print cost, such as ScanCafe, DigMyPics, ScanMyPhotos and Legacybox. Your local photo or office store probably provides similar services.